Designer Kansei Matsuno blends classic Japanese style elements with modern gentlemen’s aesthetics in the new Wasabi flipper. 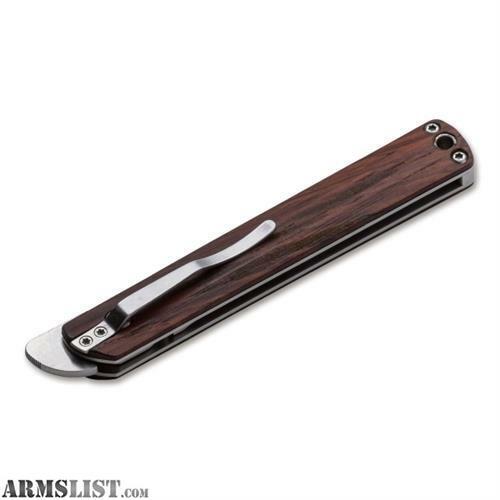 Built in 3 different configurations, the Wasabi complete complete with a non-locking slipjoint mechanism that houses a detent ball for the blade to remain open but not locked and the ball bearings translates into ultra fluid action. The Boker Plus line of knives are designed in cooperation with knife experts worldwide and provide innovative knife concepts for every task. 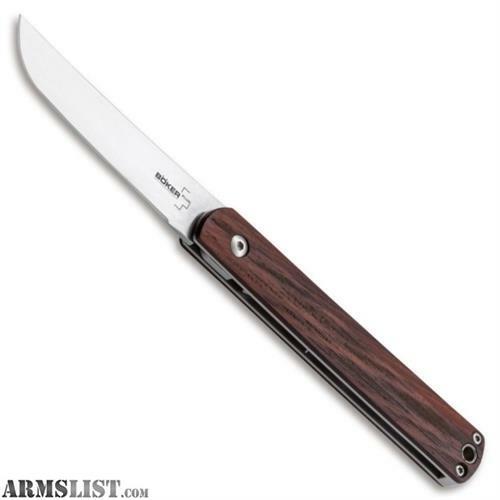 This model features cocobolo wood handle scales, stainless steel liners, a drop point style blade in a satin finish and the pocket clip is statically designed for tip down carry only on the traditional side of the handle.